The city Police Department trampled on his lifelong dream of becoming a cop because he was diagnosed with multiple sclerosis, a Graniteville man alleges in a $3 million lawsuit. 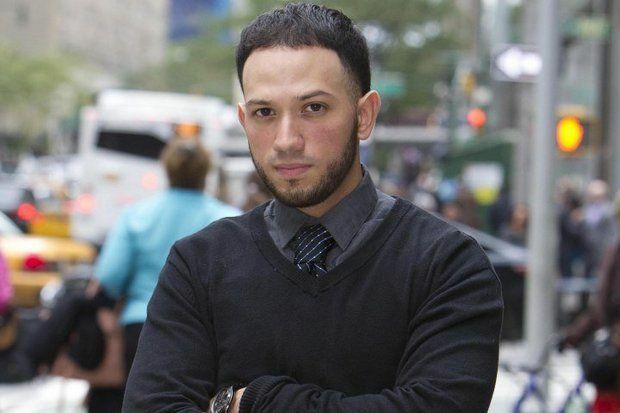 Randy Umanzor, 25, has sued the NYPD in Manhattan federal court alleging the agency violated his rights under the Americans with Disabilities Act by refusing to allow him to enter its cadet-training program because he has multiple sclerosis. Umanzor's court filings contend he doesn't have any significant symptoms of the disease that would hinder him in any way. "The city's own doctor admitted he was physically capable of performing the duties of a police officer," Umanzor's lawyer, Walker G. Harmon Jr., said in a telephone interview Monday, referring to a medical exam his client underwent and passed in April of last year. "As a matter of law, you can't deny someone employment because you think they may become disabled in the future." Multiple sclerosis is an unpredictable, often disabling disease of the central nervous system that disrupts the flow of information within the brain and between the brain and body, according to the National Multiple Sclerosis Society's website. In response to Umanzor's allegations, the city maintains multiple sclerosis would prevent Umanzor from "perform(ing) the essential functions of his position (and) would pose a direct threat to the safety and health of the plaintiff, his co-workers and the public." At a conference on Friday, a judge ordered the city be provided Umanzor's doctor's records. Harmon said becoming a cop is "incredibly meaningful" to Umanzor. "It's his life's dream," said the attorney. In his court filings, Umanzor contends he "does not have any significant symptoms of MS," and none whatsoever that would impede his ability to be a cadet or cop. According to his civil complaint, Umanzor enrolled in John Jay College of Criminal Justice in the spring of 2012 with the goal of earning a criminal justice degree and applying for the Police Academy. After being diagnosed with multiple sclerosis sometime in 2013, Umanzor began rigorously training to become a cop. He applied to enter the cadet program in February 2014. The program offers a fast track into the Police Academy, and after completing the program, cadets can take the police officer exam. Two months later in April, Umanzor passed an NYPD physical exam as part of the cadet-program application, said his complaint. Afterward, in filing out the required forms, he disclosed he was diagnosed with multiple sclerosis, his complaint said. Umanzor then provided the required documents regarding his diagnosis, which included a letter from his doctor saying his multiple sclerosis wouldn't interfere with his ability to perform his duties as a cadet, said his civil complaint. The next month, Umanzor received a rejection letter saying he was disqualified from the cadet program due to the multiple sclerosis diagnosis, his complaint said. The NYPD performed no other tests on him, Umanzor contends. In rejecting Umanzor, the city said he hadn't been asymptomatic long enough, but equivocated when pressed on the topic, said Harman, the plaintiff's lawyer. "Their explanation was inconsistent and not based on any policy or rules," he said. In its response to Umanzor's complaint, the city said he provided documentation indicating he was diagnosed with relapsing-remitting multiple sclerosis in 2013. According to the National Multiple Scleroris Society, relapse-remitting MS is characterized by "clearly defined attacks of worsening neurologic function." The attacks, called relapses, are followed by partial or complete recovery periods, called remissions, during which symptoms improve partially or completely, and there is no apparent progression of disease. Common symptoms reported include bouts of fatigue, numbness, vision problems, stiffness, bowel and bladder issues and problems with learning and memory or information processing, the society said. In its court filings, the city maintains Umanzor couldn't perform the necessary job requirements even if provided with "a reasonable accommodation" under the Americans with Disabilities Act. City lawyer Joseph D. Lockinger underscored that point at Friday's conference. "The basis for the doctor's decision to disqualify is entirely based on the idea that (he could) present a potential threat to himself or others," the New York Post quoted him as saying. "Police officers (are required to) carry and use deadly weapons, as well as possess concentration, split-second good judgment and self-control." According to the National Multiple Sclerosis Society, an estimated 2.3 million people, worldwide, have the disease. The current estimate for the United States is 400,000, although the prevalence of multiple sclerosis is not consistently tracked in this country.